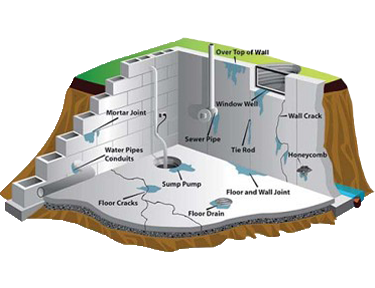 Exterior waterproofing prevents water from entering foundation walls therefore preventing the wicking and molding of building materials. Waterproofing a structure from the exterior is the only method the IBC (International Building Code) recognizes as adequate to prevent structural damage caused by water intrusion. Prior to the 1980s much of the original exterior waterproofing was actually damp-proofing using a degradable asphalt-based covering. 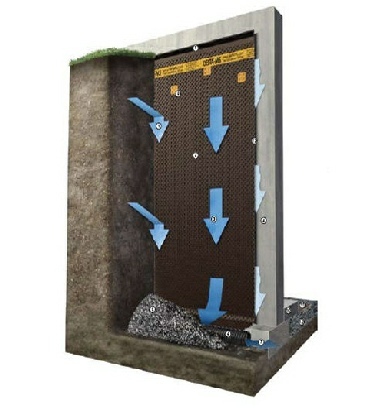 Waterproofing an existing basement begins with excavating to the bottom sides of the footings. 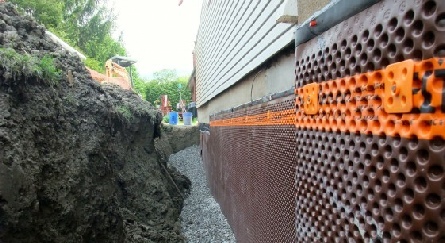 Once excavated, the walls are then sealed with a waterproofing membrane and new drainage (weeping tiles) are placed at the side of the footing.